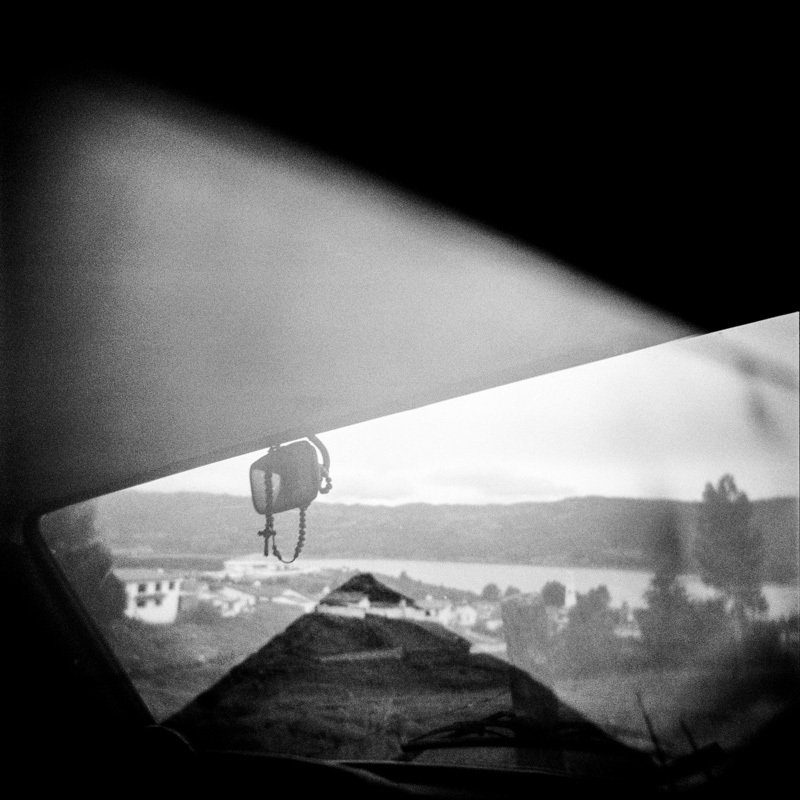 A rosary hangs from the rearview mirror of a car in Guatavita, a small town 70 kilometers from the capital Bogota. Most Colombians are extremely religious and often their religion leads them to accept with resignation and surrender their fate of misery and death. Guatavita, December 2012.